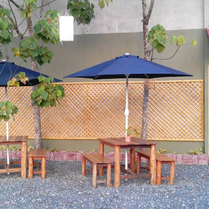 Set in a spacious garden with a large water pound & surrounded with mother nature, our quiet facility is very relaxing. Build in a Traditional Thai style fashion but with all the necessary installations and facilities. 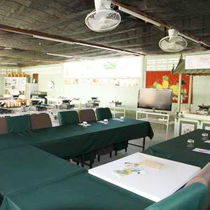 Our cooking facility is organized like a 5 star hotel with separated food preparation areas. In bakery-pastry field, most preparations are done in the cold kitchen. In Western cuisine, salads, dressings, fish or meat preparations are also done in the coldkitchen. An Air conditinned room setting is definetly a plus in term of hygiene and working.